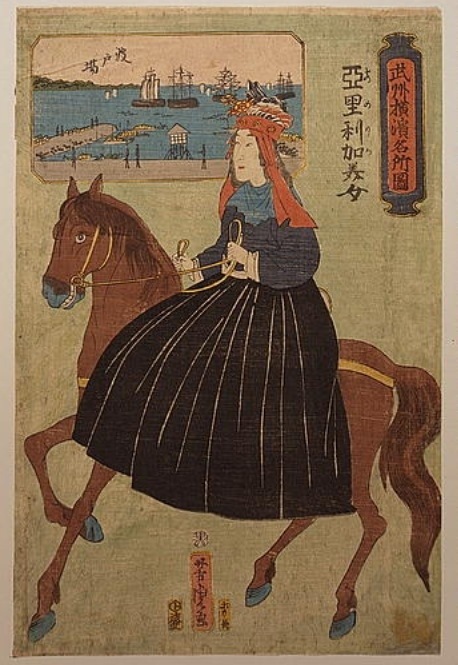 Here’s your thing of joy for today: the smirk on this rather saucy horse as he carries an American lady sidesaddle through nineteenth-century Japan, as viewed by artist Yoshitori Utagawa in 1860. Japanese women did not ride sidesaddle, so this is an interesting public performance of Western femininity as interpreted by a local. Also, one hell of a bonnet. It’s from the US Library of Congress, and more information can be found here. In memory of their sister Polly de Blank, Martha Sitwell and Clemmie de Blank will cross Mongolia aside in six weeks next May. A journalist, campaigner and yoga scholar, Polly supported both the mental health charity Mind and Prisoners of Conscience, and her sisters are raising funds for both charities. If you’d like to chip in or read more, click here and see their page on Just Giving. If you’re in the UK you can see me on Countryfile on BBC1 at 18.30 today. I’m talking about sidesaddle and the Mrs Power O’Donoghues of the world! 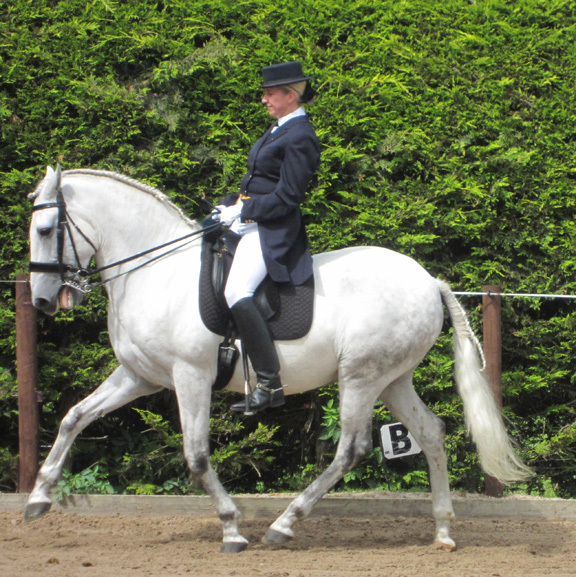 Roger Philpot, the don of British sidesaddle, plays host and master saddler Laura Dempsey shows presenter Ellie Harrison around a leaping head. The post below is somewhat out of date. My essay on Selika was published by the Paris Review Daily on 9 February 2018, and can be found here. Here’s a post listing the research undertaken about Selika and giving pointers for further investigation. This lady has been Tumblring around the internet lately, and she’d crossed my path a couple of times before Riding Aside asked the obvious question: who is she? And Marie answered in the comments. Selika Lazevski. 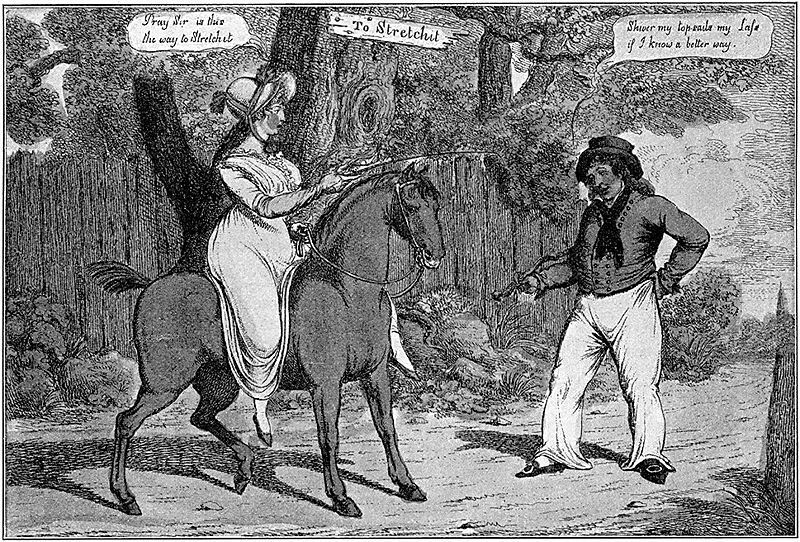 She provided a link to a French government website which gave two images of Selika and stated that she’s an écuyère “of haute école” – might this mean that she’s one of the women I’ve blogged about previously who rode high-school dressage in French circuses in the nineteenth century (I was inspired by Hilda Nelson’s recent book)? Selika isn’t mentioned in this Xenophon Press title. Time to Google. Very few hits other than the photoshoot (by Atelier Nadar, ie Paul Nadar in 1891). She’s not in Baron de Vaux’s history of horsemen and women in the circus. And that’s it… further investigation is required. I think I know where to look, although I’d have to be in the right library. Sélika is the name of the heroine of Giacomo Meyerbeer’s 1865 opera, L’Africaine, and was adopted as a stage name by the first black woman to sing at the White House, the coloratura soprano Madame Marie Selika Williams. According to this site, the opera was hugely popular among African Americans, and Selika became a fashionable name. Popular among horse owners too: a filly called Selika won the Kentucky Oaks in 1894. UPDATE: hello all Selika seekers! Earlier this year I used a couple of spare hours in the British Library to search old newspaper/magazine texts and indexes of circus performers, but sadly there was no sign of Selika. I’ll keep on hunting when I have time and resources. FURTHER UPDATE: here’s a long Guardian piece on Félix Nadar, whose son Paul was probably Sélika’s actual photographer – a fascinating overview of both the man and of Paris in that era. No mention of Selika in the review, but if anyone can get a hold of a copy of the book, perhaps she gets a mention. 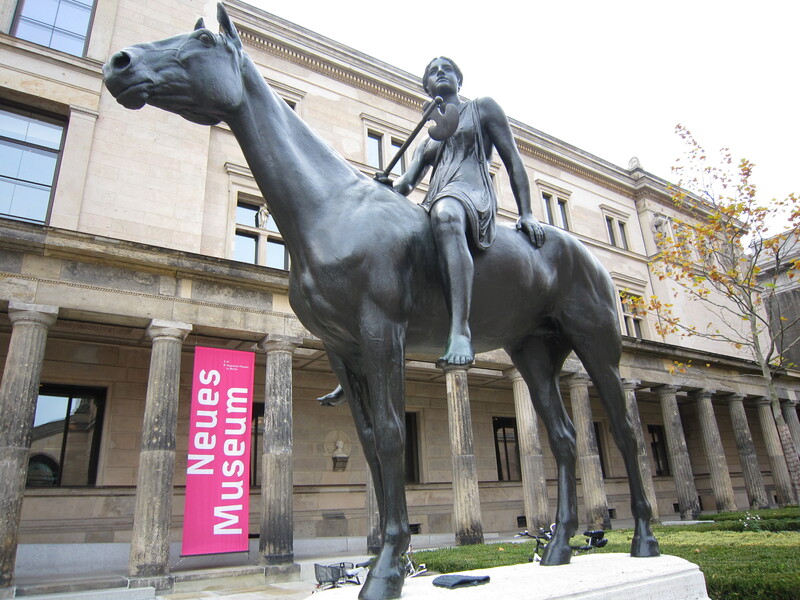 ANOTHER UPDATE: 13/9/2016 still no sign of an equestrienne called Selika, but I have just learned about a Black British circus horseman/écuyer of the nineteenth century called Pablo Fanque – he even comes from my home town of Norwich. I’d love to write something about him when I have more time, but for now here’s a lovingly tended Wikipedia page. OCTOBER 2016 UPDATE: A Livejournal post claims that The Equestrian filmmaker Sybil H Mair is making a film about Selika starring French actress Karidja Touré called The Adventures of Selika. FEBRUARY 2017 UPDATE: I’ve started to research the life of the real Selika. 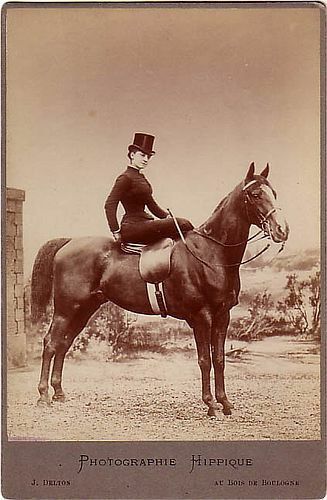 1) The brilliant Italian écuyère Elvira Guerra competed sidesaddle in the “hacks and hunters combined event” (photo of her here) at the 1900 Paris Olympics – a non-Olympic event, to be sure, but it wasn’t until 1952 that women were allowed to ride at the Games proper, and then only in dressage, when Lis Hartel of Denmark took an individual silver at Helsinki. Hartel was also the first paralympic rider. At the time she was paralysed below the knees – the last remnant of a severe polio attack she’d suffered eight years earlier at the age of 23, when, to cap it all, she was pregnant. She also took silver at the next games. Read about Lis and the foundation in her name at this link, and see photos of her at Simply Marvellous. 2) During my sidesaddle lesson, my teacher, Sarah Walker, explained that each sidesaddle was made to fit an individual rider and horse, and that the name and measurements of both were usually written on the saddle tree. Blogger Sidesaddle Girl investigated her own late-nineteenth century saddle and discovered not only where it was made, but also a portrait of its owner, a glamorous socialite. Read all about it here. 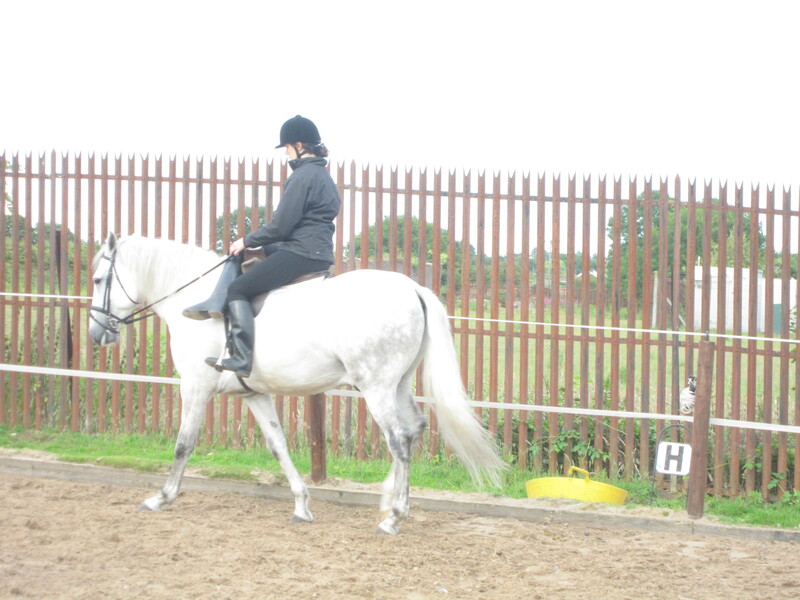 When I got back from my sidesaddle lesson I was rather overexcited about the fact that I had ridden a PUREBRED! CLASSICALLY TRAINED! LUSITANO! 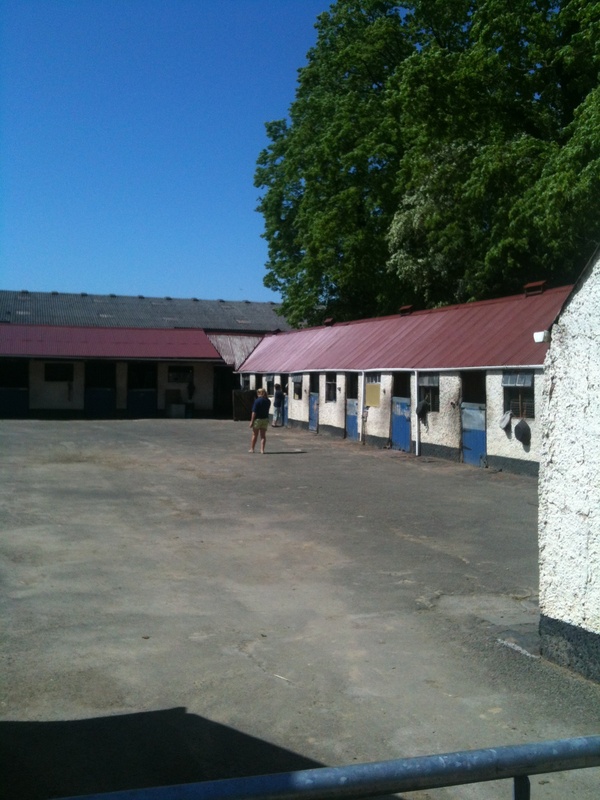 and couldn’t wait to show people the photos that my mum took of the lovely Xis. Some people were a little disappointed, and said, “But he just looks like a pony,” and I wondered if perhaps some horses weren’t photogenic, or somehow failed to give their best in the camera lens. The answer is a lot simpler. It’s all about the rider.